Grab My Free Trial Now! Download Your FREE Trial Voucher! Don`t just take lessons, become a tennis player! Become a great tennis player! Read what our Happy Clients have to say About Us HERE! We've been providing coaching services to kids and adults for over 20 years and we'd love to use our expertise to help you become the best tennis player possible! 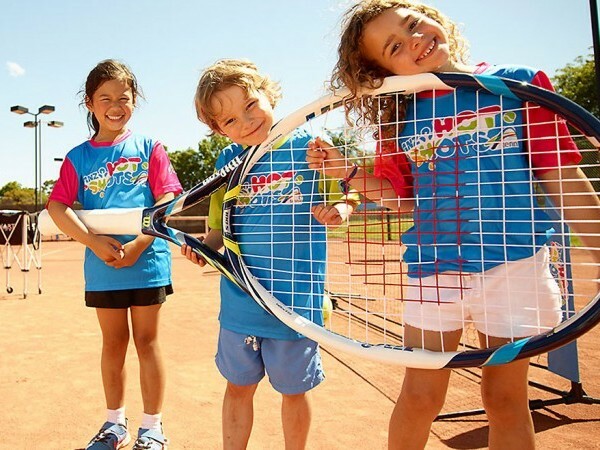 Our Hotshots programs are designed to help every child, no matter their ability jump in and start playing tennis. Hotshots is played on smaller courts with modified equipment, including lighter racquets, lower nets and low compression balls that don’t bounce too high. 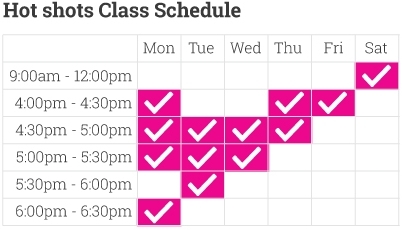 These classes focus on hand-eye coordination, as well as ball skills and the development of tennis strokes. Your kids will love the many skill building activities in our Hot Shots classes. 45 Five Star Google Reviews. "Marconi tennis and squash has improved my sons tennis dramatically. I have been taken him there since he was 4 and a half years old. He started in a group and he now has private lessons and certainly done him a world of good. Very friendly family run business and I would recommend to any one." 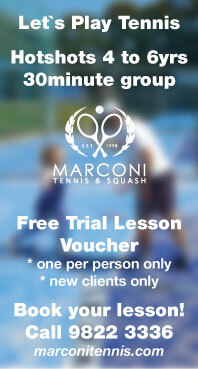 "Marconi tennis is a fabulous family friendly club. With 3 boys excitedly running out our front door every week we know we are onto a winner. Excellent coaches who make learning tennis fun and aim for results. Highly recommend anyone who would like to play tennis to give Marconi a go.."
© 2018 Marconi Tennis and Squash. All Rights Reserved.